The iDesign business model and franchise platform is designed to provide a high volume, niche business with a proven, validated, consistent and structured seasonal business model. 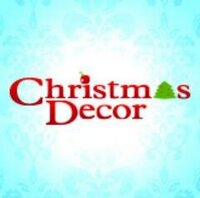 Welcome to section of the Christmas decorating franchise business opportunities. It contains many options especially for those, who looking decorate franchises, territory decorating franchises, interior and exterior decorating franchises. Look at the list and evaluate all the offers. Choose the best for yourself.